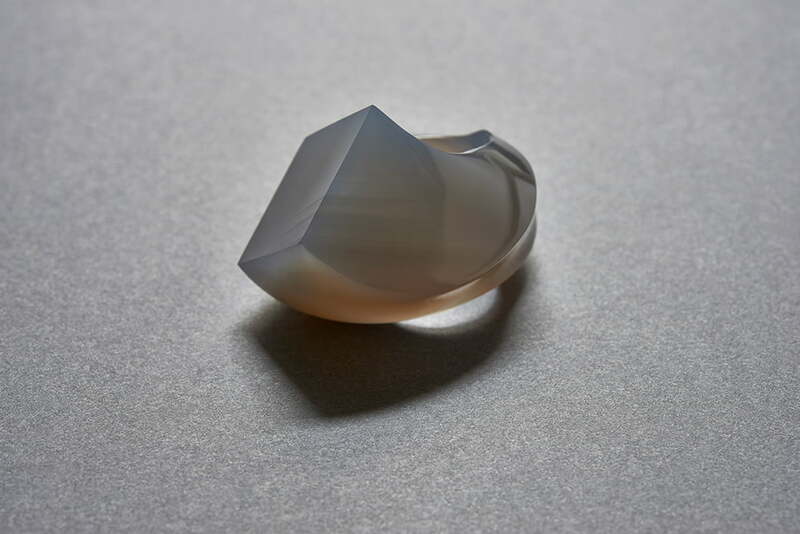 Next month, RMIT will hold a four-day masteclass with Munich-based jeweller Yutaka Minegishi. Yutaka is best known for his extraordinarily sinuous, dynamic rings carved from wood and, more recently, stone. The class will run from 28-31 August and participants will use wood as a starting point. The objective will be to carve a ring for the hand. Using the porous and structural properties of wood participants will work using essential processes to explore contemporary forms. Traditionally goldsmiths build and model using metal components, sections and constituents to join and build form and structure. In this masterclass, Yutaka will lead participants to use wood as a material and work only with the reductive and subtractive techniques to produce form by carving and stripping back material.